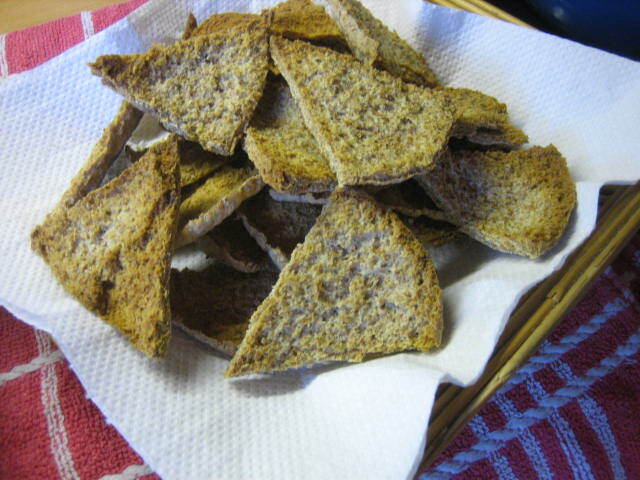 Dips are so easy and it doesn’t have to be guacamole and hummous everytime. Even though I do love them they can get a little bit dull. Feta is a great medium for a dip, you can mix lots of different things into it like sauteed mushrooms, fresh herbs, chargrilled red pepper, courgettes etc. I chose to use frozen spinach as I had bought a bag as a bit of a trial to see if it was a good cheap alternative to the fresh stuff. It isn’t! But it does have it’s uses…. 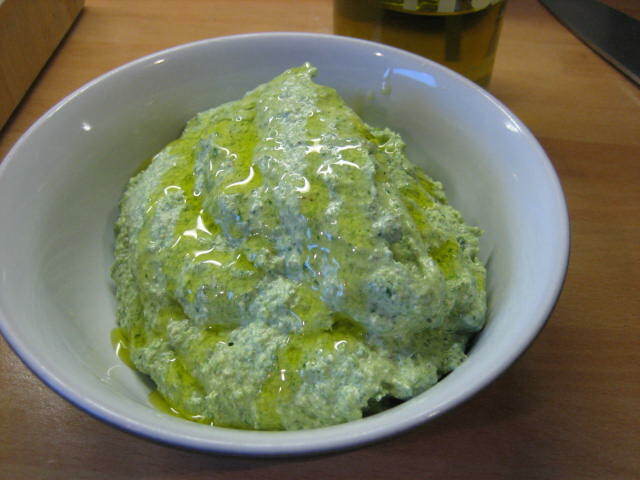 This dip for example (however I do think it would taste better with wilted fresh spinach). Cook spinach as per instructions, I microwaved mine for 2 mins. 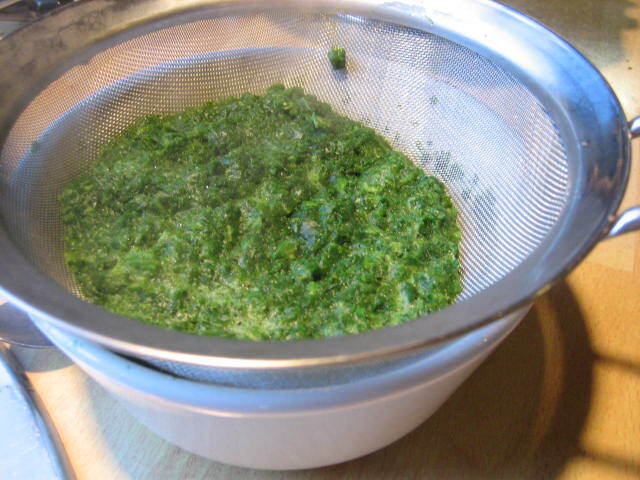 Then drain through a sieve. 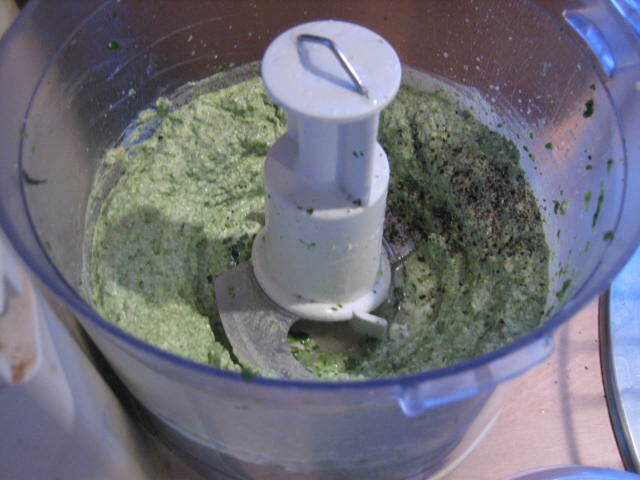 Once drained and cool pop into the food processor with the feta, juice of 1/2 lemon and 1/2 teaspoon of dried oregano. Blend then season to taste adding more lemon if required. 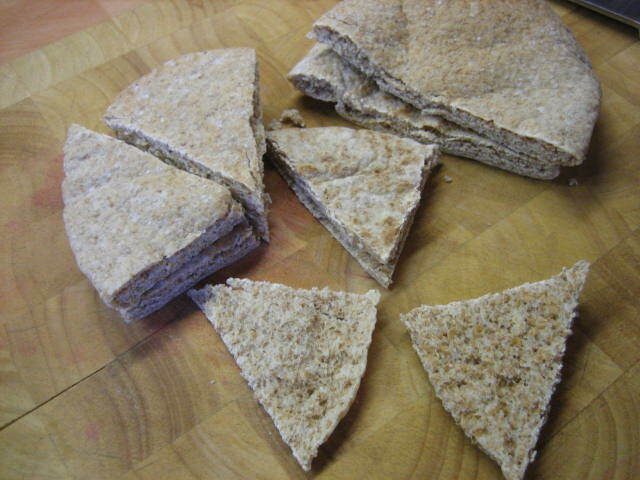 Cut pitta bread into triangles and split in half. 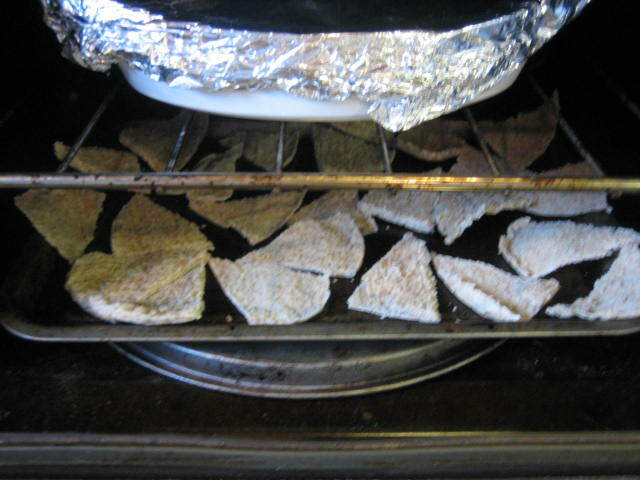 Tip: you can dust the pitta with some paprika or cummin to jazz it up if you want. Bake in the oven at 200 degrees Celcius until golden and crunchy.